The real estate market is always changing and staying in touch with market trends is important if you’re thinking about buying or selling. Here’s what you need to know about the market right now. This trend is holding true across Downingtown, Garnet Valley, Unionville, and West Chester. The Days on Market tracks the number of days a property has been actively listed. This number can be an important indicator because it shows how quickly homes are being purchased after the list date. 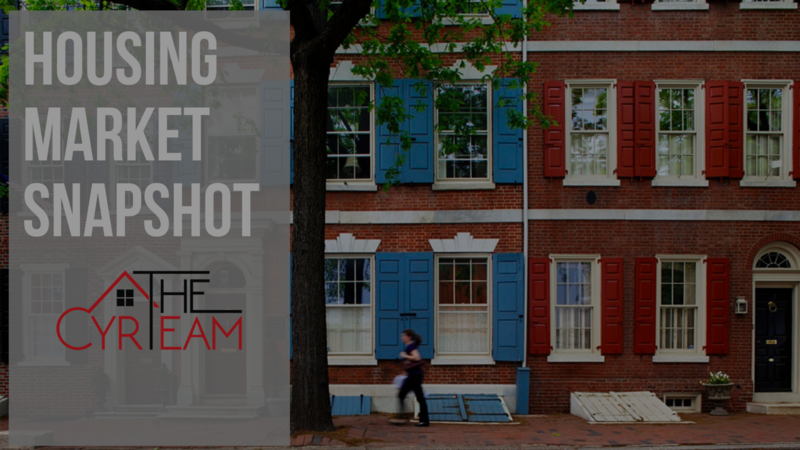 The Months of Inventory measurement is essentially an indication of how many homes are actively on the market, and how long it would take to sell them all if sales continued that the same rate. It is how we determine if it is a “buyer’s” or “seller’s” market – the lower the Months of Inventory, the more favorable the market is to sellers. The higher the Month of Inventory, the more favorable the market is to buyers. Inventory is currently trending towards favoring buyers in Downington, Garnet Valley, West Chester, and especially in Unionville. This shift from a seller’s to a buyer’s market means that prices have begun to level off after a period of increases. Prices appear to be tapering off. Sellers: As prices level off and begin to drop, you’ll want to be sure to get your home on the market before the swing in market brings lower prices. Because the average Days on Market is increasing, you’ll want to be sure that your home is competitive when you list it. Be watchful of the amount of traffic and interest your home is getting – if it is too low, we might recommend a price reduction. – Get outstanding pictures of your home and property. Buyers are making decisions about your home based on online listings and photographs, so make sure your house sets itself apart from the houses for sale right now. – Staging your home for pictures, open houses, and showings can differentiate you from the competition and may help you sell your house faster. – Take the extra step. Opt for fresh paint, carpet cleaning, minor repairs, and landscaping to give your property the leg up. Buyers: You are starting to move towards having the advantage, but that advantage is tempered by rising interest rates, so the cost of borrowing may be higher. If you’re thinking about buying, don’t wait! Right now, you may be able to get house you want for less than asking price. Because the economy is stronger and interest rates are trending upwards, lenders are offering additional products to help offset the difference in the cost of borrowing. – Adjustable Rate Mortgages (ARMs), which can be particularly beneficial to those who plan to sell again in a few years. – Programs or rebates you might qualify for. – VA and FHA loans, if applicable. Understanding market trends are an important part of any real estate transaction. It is important to us that you feel knowledgeable and informed about your transaction, whether you are buying or selling. Contact us to find out what these market trends mean for you and your home – we strive to help our clients make smart, informed decisions with confidence. Feeling a little out of the real estate loop? Haven’t bought or sold a home in a few years, or ever? RSVP for our FREE, no-hassle informational seminar. We will cover the current state of the market and what to expect as a buyer or seller. Seating is limited, so reserve your spot now!